What is not to like about the Ox: a total professional, wears his heart on his sleeve, gives his all and he fuses speed and silkiness to the highest degree. Alex is a great guy and we all would love him to come good…. But he has not been coming good for quite a while now; and I feel we have to be cruel to be kind: send him out on loan and tell him to convince us how good he really is. The Ox joined us ages ago and has played 90 PL games, exactly as many as Ross Barkley. I reckon Barkley is a similar player to the Ox: both are attacking midfielders who can play on the wing; they have a good dribble and a fabulous shot-power, are fast and have an eye for a key pass as well; they are also both 22 and belong to England’s most promising prospects for the national team. But one is in the ascendency and the other is sliding down. Whilst the Ox is struggling to establish himself in the first team (despite all our injuries), Ross Barkley is in the form of his life. Barkley played 1334 minutes in the PL this season already, scoring an impressive six goals and producing an equally impressive five assists; he also produces 1.9 key passes per game and his passing success rate is at 87.2% per game. The Ox has played just 429 minutes in the PL this season, with no goals or assists, 0.5 key passes per game and 84.6% passing success rate. Is Barkley that much better than the Ox? I don’t think so. But Barkley plays at a club where he is allowed to make a few mistakes, where there is less pressure to win each and every game and where he can grow by playing week in week out. And this is now paying dividend for the Toffees. He has learned to make his head think as fast as his body can run and his legs can move the ball, and he is delivering the goods on a weekly basis. It is the opposite of Ox’s situation right now, and having watched him this season, I reckon he is under too much self-pressure and club pressure to perform well at Arsenal. Sometimes a step down is needed to make two steps upwards. The Ox should go on loan to the likes of Swansea, Southampton, Watford or Leicester for half a season at least, with an agreement that he will play as much as possible. I reckon it will do him a world of good and we will come to see the true Ox: flying on wings and bullying the opposition with his power and sharpened horns, whilst using his head to make all his effort count. He would then improve his goal and assist per game ratio and deliver a lot more key passes per game; so that when he goes back to Arsenal, he is ready to claim a first team spot. It is about time we start regarding sending our most promising youngsters on loan not as a punishment but a key part of their development. It did Le Coq and Wilshere a world of good, and the Ox should follow their example if he is to fulfil his enormous potential. Who agrees and disagrees, and why? This entry was posted in Uncategorized and tagged Alex Oxlade-Chamberlain, Barkley vs the Ox, premier league, The Ox. Bookmark the permalink. I for one do agree with you 100% ,he will get sufficient playing time with reduced pressure as an added aid to his development, and we will see the vicious ox unleashed from his slumber. “We have to be cruel to be kind”. I like that because it sums it up quite nicely. With the advent of Campbell, you’d feel this should serve as an inspiration to spur the Ox into stepping things up. That will call for great mental strength which, honestly, Ox hasn’t yet convinced me he possesses. We’ve waited very long for him to reach the potential we know he has without seeing it. I like him and know he is a handful when in form, but compared to Campbell’s all-round team play and savvy, Ox falls short, for me. You can see his teammates already warming up to Campbell; that only happens when they can see he has something about him. Having said that, the Ox does needs games and I expect him (or Gibbs) to start the game vs Villa, with Campbell on the other side. Those are my thoughts. Cheers. “I think ox needs to simplify his game. Trying to do too much, showing off his obvious skills. Joel has kept it simple and that’s why I think Arsene went with him in the vital match Wednesday. Campbell is taking his time and letting the game come to him, and eventually good chances have come, as his simple goal last week. The question is, Johnnie, whether the Ox will get a chance to learn this on the pitch. 90 PL games is not nothing and time might be running out for Das Ox… Loan spell, yes or no? “Arsenal manager Arsene Wenger on Champions League hero Olivier Giroud: “If you look at the number of games and the number of goals, you have to give him credit. “He’s not only a goalscorer, he’s a guy who puts work in for the team. I think he’s among the best strikers in Europe. Re Leicester, I reckon they would love the Ox on loan. Why wouldn’t they? Thanks for thre repost TA, a loan for ox, only if we bring in a proven player to take his place. I think Arsene will persist as things are now, because it’s the frugal way. He’ll think, why spend when ox is talented and should be ready. What would i do? probably the same as Arsene. But i am losing some patience. I really would push him to simplify his game, and btw, reserve some energy more wisely, he tries to sprint and dribble on every touch, and you notice he can rarely do 90 minutes without injury or exhaustion.. even in past seasons. I can see your thinking, Johnnie. We could recall Gnarby and, or count on Welbeck filling the Ox’s place. I would not be surprised if we bought quality in January either. For me, not sending the Ox out on loan would be bad for him and us. Hi there TA. A fair assessment of the Ox, but no account given to his misfortune with injuries and the timing thereof. Much like Jack, the Ox has hinted at really arriving, only to break down the next minute. I sense no lack of effort in his approach, but more a lack of maturity and thought to his play. If we were nearer full strength then your argument about a loan might indeed be the best option for AOC, but where we are at present it seems inconceivable that Wenger would release him with so few other options available to us. And like others, I would expect to see the Ox get a decent run out, possibly a start, on Sunday. Your premise of keeping a winning 11 is sound, but given our shortage of strikers I would have thought Wenger might wish to keep one in reserve and guard against injury? We shall see. Wenger is quoted today as noting how Giroud is the man to lead the line when teams are sitting back and Arsenal have most of the ball – as should be the case on Sunday. The bench seems a safer option for Walcott given he is just back from injury. Ox may also be less of a risk to start given the improving performances of Campbell. The one I worry about – what do you think HT for your pre-match summary – is Flamini; too many games in quick succession spells injury for the Flame. Is Chambers ready for a run out as DM? He may have to come on there in any case if we start the Flam – and I would rather we had a fit Flamini for the city game the week after, where he will be needed for sure…. I’m drifting off the subject. Whilst drifting, does anyone know of Gerry these days? As one of the most regular writers here, his sudden silence is concerning – anyone got any news? Blast TA! Great article mate but I had just finished putting together the below which I was going to send to you as a prospective article itself. Oh well, it was good to get the below thoughts out of my head anyway! I really like your comparison of Barkely and Ox. Both have a similar skills set and attributes and I think both a best suited to a box to box midfield role. A loan move for the Ox to a club which plays a footballing system that accommodates one or two box to box central midfielders might work. That said, I’ve never been really convinced that the loan system actually develops Arsenal’s academy prospects into first team players for the club. The teams those players are loaned to rarely play in a system comparable to Arsenal’s system of play and whilst some players perform well for their loan side, they have almost regressed when they return because of the contrasting styles between Arsenal and said loan club and the particular positional demands in Arsenal’s system. For the Ox, I really think his future at Arsenal depends on whether the brief renaissance we are seeing with Arsene electing to deploy two box to box central midfielders persists when the likes of Wilshere and/or Cazorla, who are more deeplying playmakers, and Coquelin, who is an out and out defensive midfielder, return to fitness. If so, I think Ox has a future at Arsenal. If not, I don’t think Ox’s skill set and attributes fit within Arsenal’s system of play and a permanent move away from the club is foreseeable. Alex Oxlade-Chamberlain isn’t a typical Arsenal player. Whereas the majority of Arsene Wenger’s attack-minded midfielders are diminutive, creative and technical talents, Oxlade-Chamberlain offers something different: he’s direct, powerful and physical. With Arsenal up until very recently deploying a particular system of play (comprised of a conventional back four, a defined central defensive midfielder, a deeplying central playmaker, a floating advanced playmaker, a wide striker, a pacey and clinical centre forward and a free wide role), and with each position within that system suiting particular players with certain skill sets and attributes, it’s left me wondering where a player with the Ox’s skill set and attributes best fit. When confident, the Ox has the ability to drive at and go past opponents and a willingness to shoot from long distances. Those skills coupled with his tendency to play almost exclusively on his right foot would appear to make him suitable for the wide striking role in Arsenal system (provided he is deployed on the left flank). However his almost non existent off the ball movement virtually renders him ineffective at that role as off the ball attacking movement is a fundamental requirement of the position. In relation to his possible deployment in the wide free role that Ramsey has been occupying for most of the season, whilst tidy in possession I’m not convinced the Ox has the offensive positional awareness to help effectively construct overloads with Ozil and the respective fullbacks. In addition when Ox moves to the right flank an autopilot mode seems to kick in where looks to dribble to the byline and whip in an aerial cross. Most teams flood the box with attackers when a wide player makes such a movement, but that’s not how Arsenal play so his effectiveness when deployed on the right wing is limited. As for the Ox’s suitability to the CF role in Arsenal’s system, he certainly possesses a combination of close control, pace and physicality which are desirable skills and attributes for the role. Furthermore Walcott’s success in that same role has proved aerial prowess is not essential, which is handy for the Ox who hasn’t really demonstrated any notable skill in that regard. However, unlike Walcott, the Ox’s almost non existent off the ball attacking movement and a lack of shooting accuracy in front of goal similarly renders him ineffective at that role as goal scoring efficiency in particular is a fundamental requirement of that position. The position where I’m increasingly believing Ox’s skill set and attributes to be best suited to is as a box to box central midfielder. His pace and dribbling skills enable him to drive forward effectively from deep whilst his willingness to shoot from long distances creates an alternate goal scoring option for Arsenal (though his shooting accuracy requires work). 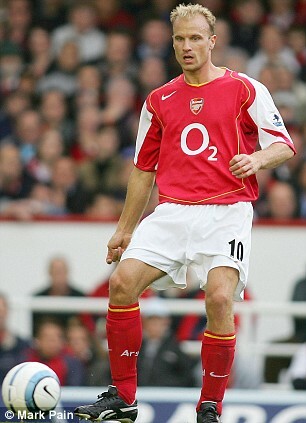 As for his passing skills and defensive positioning and awareness whilst they aren’t comparable to the likes of Ramsey or Coquelin respectively, he has shown an ability to plays some good, long forward passes into dangerous areas and a feisty willingness to engage in physical battles when he had been deployed in that role in the past. Whilst I think his skill set and attributes as a whole makes the box to box midfield role his most suitable, whether those box to box midfield roles, which Ramsey and Flamini are current occupying, continue to exist when the likes of Wilshere and/or Cazorla, who are more deeplying playmakers, and Coquelin, who is an out and out defensive midfielder, return to fitness will, in my opinion, largely dictate the Ox’s opportunity to establish himself in Arsenal’s first team. No they are not one way tickets at all; that is where you are wrong and why we differ so much on this topic. Gnabry, Sanogo and Akpom will all return, I have no doubt about it. Love the last sentence, and let’s hope you are right. A really interesting debate, and Chuba Akpom scores for Hull…. I think he is extremely unlucky, for as soon as he is on a roll and showing some form he picks up an injury. Would I loan him out? No TA I wouldn’t mate, for as much as I respect your view, I think AOC is at a stage of his career when he needs to show the right strength of character to earn a place in the Arsenal starting XI…. I actually think that loans are as much about being a character building process as a technical exercise…. Fair enough, AK. I reckon he needs to play at a slightly lower level where he can build that character and learn to match his thinking speed with his leg speed. At Arsenal he has not been taking his chances and his self belief looks at a low. He needs to go on loan to get proper playing time, find form and self belief. In my view, he is totally stuck at Arsenal right now, but if he can have a great loan spell he could come back a reformed player.